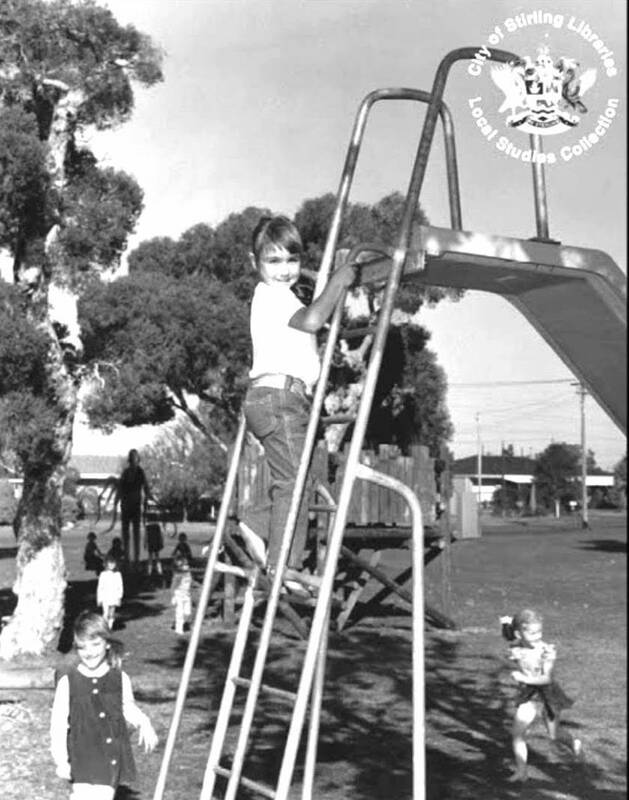 Slender Man is usually represented as an extraordinarily tall figure in a black suit and tie, with a featureless, bone-white face. He is often seen to have multiple long tentacles instead of, or in addition to, normal arms. He is associated with dark woodland areas and the disappearance of children. 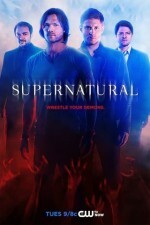 The Supernatural episode #THINMAN (S09E15) is based on the legend of the Slender Man. In the episode, the Thinman legend was created by Ghostfacer Ed, but soon real Thinman murders start occurring in Washington state. It is one of the very few episodes, however, in which the “monster” is revealed to actually be a normal human (in this case, two men pretending to be Thinman). 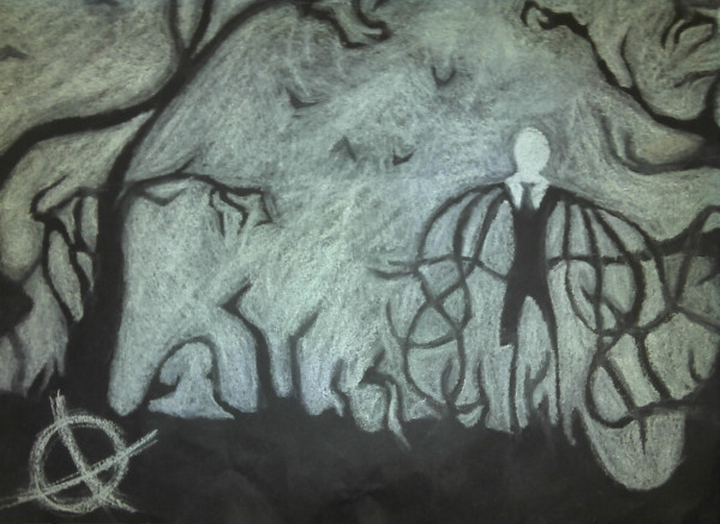 Due to the rapid creation and dissemination of legends of Slender Man as a creature born in the internet age, the lore surrounding him is widely various, but some of his powers are more frequently cited than others. These include the ability to teleport, and the transmission of Slender sickness, symptoms of which can include nosebleeds, delusions, nausea, paranoia, and exhaustion. Effects of Slender sickness multiply and worsen each time The Slender Man is observed by the afflicted. It has been postulated that The Slender Man is a Tulpa, or “thoughtform”—an idea made manifest through concentration of thought or belief. But just as there are no known weapons that are effective against Slender Man, Tulpas are also notoriously hard to kill. 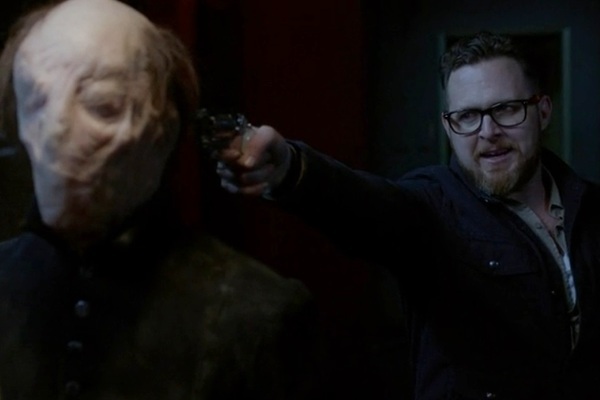 (There have been a few mentions of Tulpas on Supernatural: one appearance in “Hell House” [S01E17, also featuring the Ghostfacers]; and the muse Calliope was at first misidentified as a Tulpa in the show’s 200th episode.) With few other defensive options, the best tactic to adopt, should you see The Slender Man, is to run away, and run away fast. The Slender Man is a welcome addition to any family portrait.